In a few months will be able to finally witness the next magical adventure from J.K. Rowling in the form of Fantastic Beasts and Where to Find Them movie. But before that, let's all enjoy the final trailer and poster of the said movie. Spoiler: Gellert Grindelwald's somehow connected into this movie! 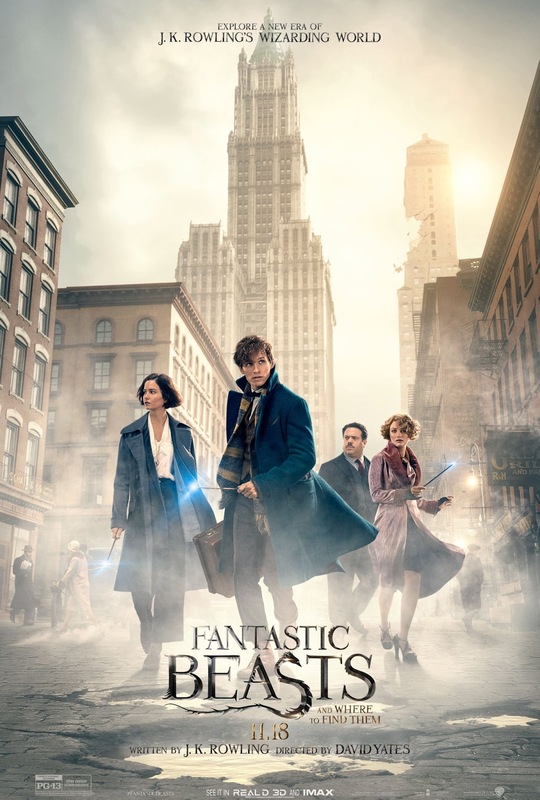 The movie is directed by David Yates and stars Eddie Redmayne, Katherine Waterston, Dan Fogler, Alison Sudol, Colin Farrell, Samantha Morton, Ezra Miller, Carmen Ejogo, and Jon Voight. The screenplay was written by word-smith J. K. Rowling, based on her own original work of the same title. Fantastic Beasts and Where to Find Them is the first movie of a projected trilogy. Check out the new trailer of Fantastic Beasts and Where to Find Them. The final poster has already been released. In 1926, Newt Scamander arrives at the Magical Congress of the United States of America for a meeting with an important official. At this meeting is a magically expanded briefcase, which houses a number of dangerous creatures and their habitats. When the creatures escape from the briefcase, it sends the American wizarding authorities after Newt. The situation threatens to strain even further the state of magical and non-magical relations, which is already in a dangerous place, due to the threatening presence of the fanatical New Salem Philanthropic Society, an extremist organization dedicated to the eradication of wizard-kind. Newt battles to correct the mistake, and the horrors of the resultant increase in violence, fear, and tension felt between magical and non-magical peoples. It would still take me days to finish reading The Waking Fire by Anthony Ryan. 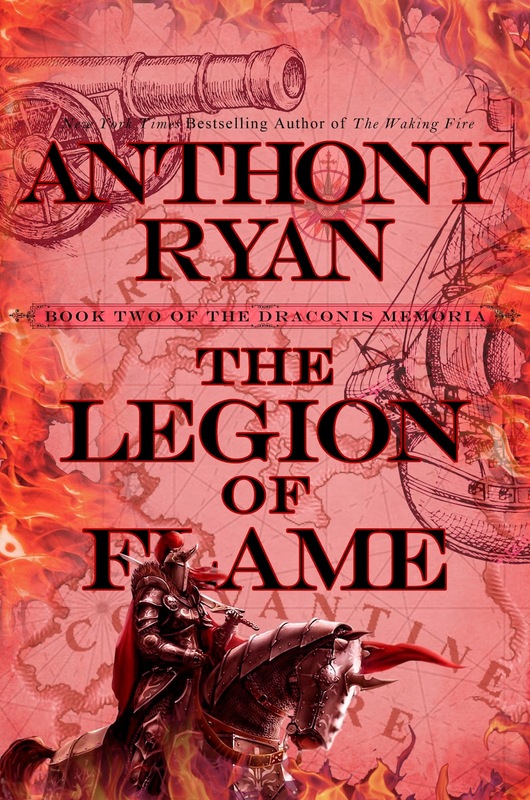 It is the first book in his new series called The Draconis Memoria. I first became acquainted with his works when I first read his debut novel, Blood Song, and its sequels Tower Lord and Queen of Fire. His new series is an entirely new and different journey and from what I have read so far it's going to be as good as his debut, if not better. 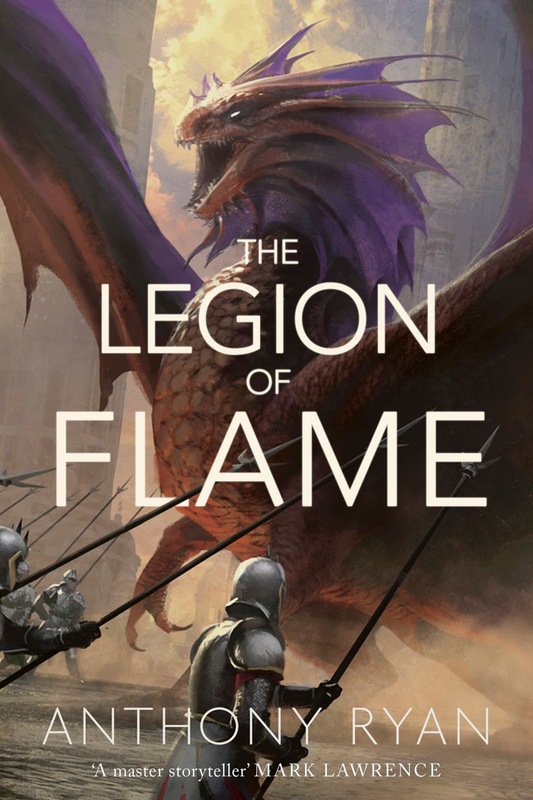 That is why I am already excited for his next book, which he revealed to be called The Legion of Flame.... So excited that I have to create cover arts by my own. * No copyright infringement intended on the raw images used. The copyright holders are the owners of respective images. 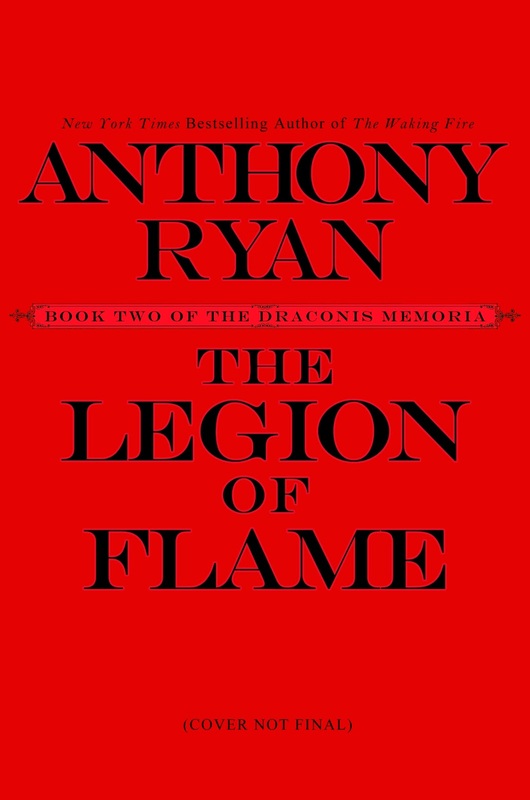 There is no official synopsis release yet, but the release date for The Legion of Flame by Anthony Ryan has already been set on July 6, 2017 and the author is busy writing it. The steamy duo of Christian Grey and Anastasia Steele is back and it's darker than ever. If you think you've seen it all in Fifty Shades of Grey then be prepared to be surprised in this climactic sequel, Fifty Shades Darker. This movie adaptation is directed by James Foley (taking over from director Sam Taylor-Johnson). It stars Jamie Dornan and Dakota Johnson. They will be joined by Marcia Gay Harden, Jennifer Ehle, Luke Grimes, Rita Ora, Victor Rasuk, Eloise Mumford, Max Martini, Kim Basinger, Hugh Dancy, Bella Heathcote and Eric Johnson. The screenplay is written by Niall Leonard, based on the novel by E.L. James. Finally, here is the official trailer of Fifty Shader Darker. Check out the trailer teaser of Fifty Shades Darker. And here is the poster of Fifty Shades Darker. Fifty Shades Darker will be released in theaters on February 10, 2017 . Ahoy! Victor Milán is back with the third serving of the The Dinosaur Lords series. The next book is called Eowyn and I am assuming the central character will follow the footsteps of Eowyn of Rohan from Lord of the Rings, Brienne of Tarth from Game of Thrones, and many more. Once again, Richard Anderson -- also known under the flaptraps banner -- has done a marvelous job! This is the, for me, the best cover in the lot. The first two may seem two-dimensional due to the profile positioning of the dinosaurs, while this one has an almost frontal dinosaurs giving it an illusion of 3D! 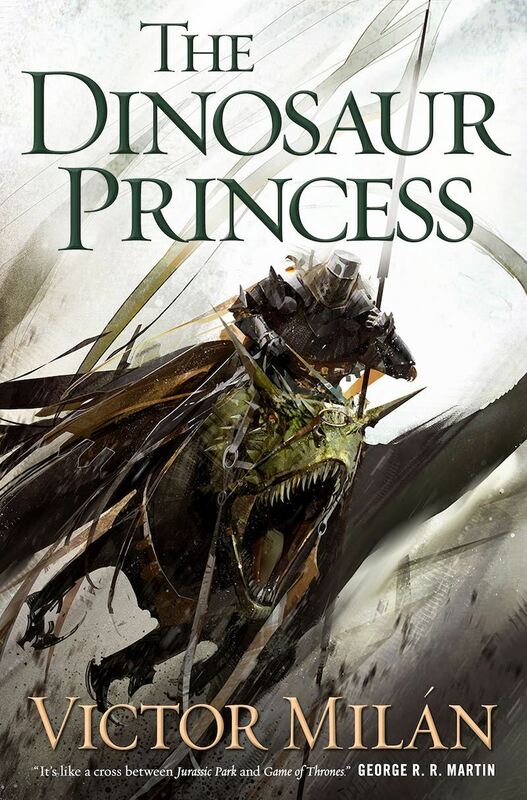 Check out the cover of The Dinosaur Princess by Victor Milán. Check out all three books in the series, so far. Paradise is a marvelous but dangerous place—a realm where knights ride these beasts in order to fight epic medieval battles; a place where magic is real.The ancient gods who brought mankind to Paradise have returned to judge their human experiment. The Grey Angels, fabled ancient weapons of the gods, have come to rid the world of sin. The Dinosaur Princess by Victor Milán will be released in July 2017.